Aliport Commercial were first contacted in June 2013 about this project. 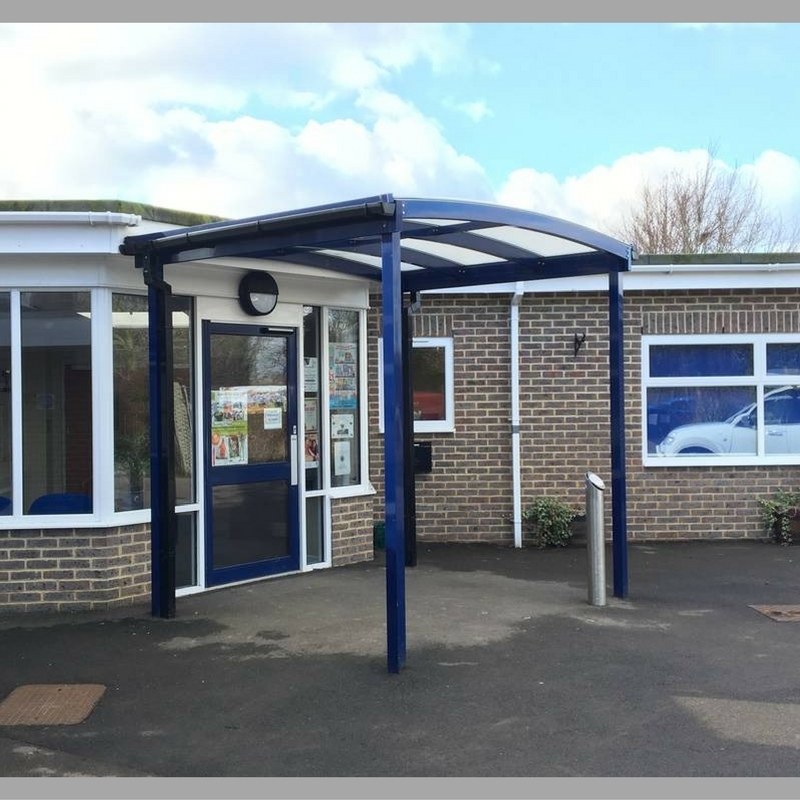 Abingdon Preparatory School required a sheltered entrance canopy to their building that matched the colouring of existing metalwork, etc… on site. 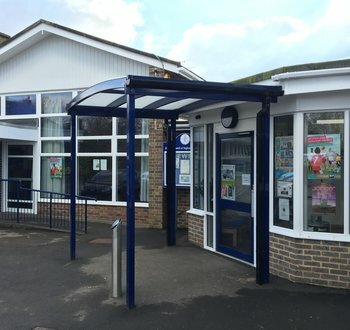 Aliport Commercial undertook a two site visits to fully understand the project, measure up and produce the designs for the new canopy to be installed. The site conditions were good during the installation with the installation being undertaken during the school holidays. Aliport Commercial commenced works in August 2013 and over a 2 day duration installed the canopy. 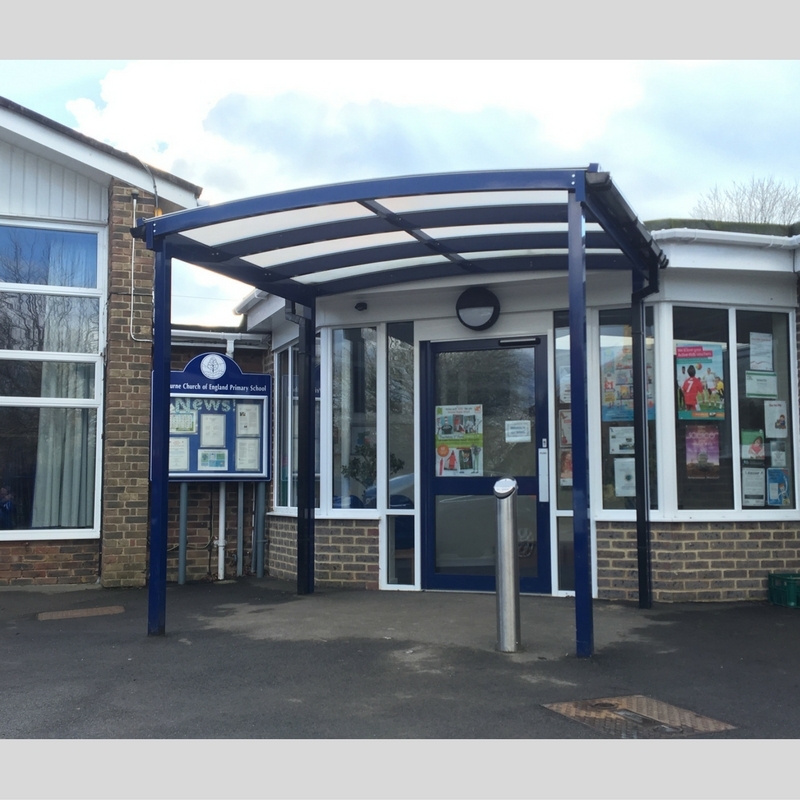 The Canopy was powder-coated blue and matched to existing metal work on site to provide an attractive finish that did not look out of place. 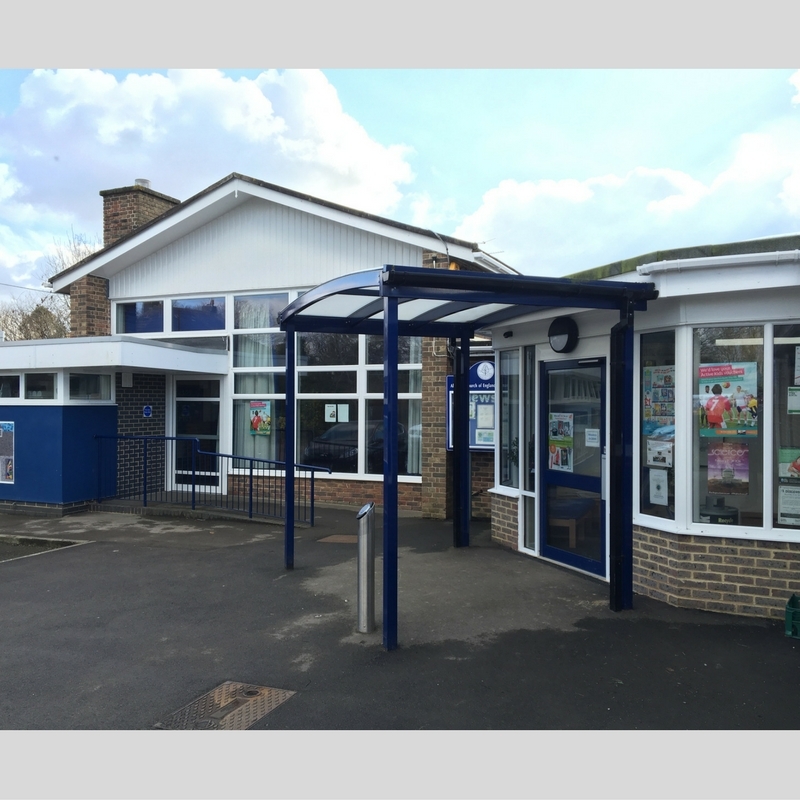 Aliport Commercials fitters completed the Canopy Installation successfully and in line with programme. 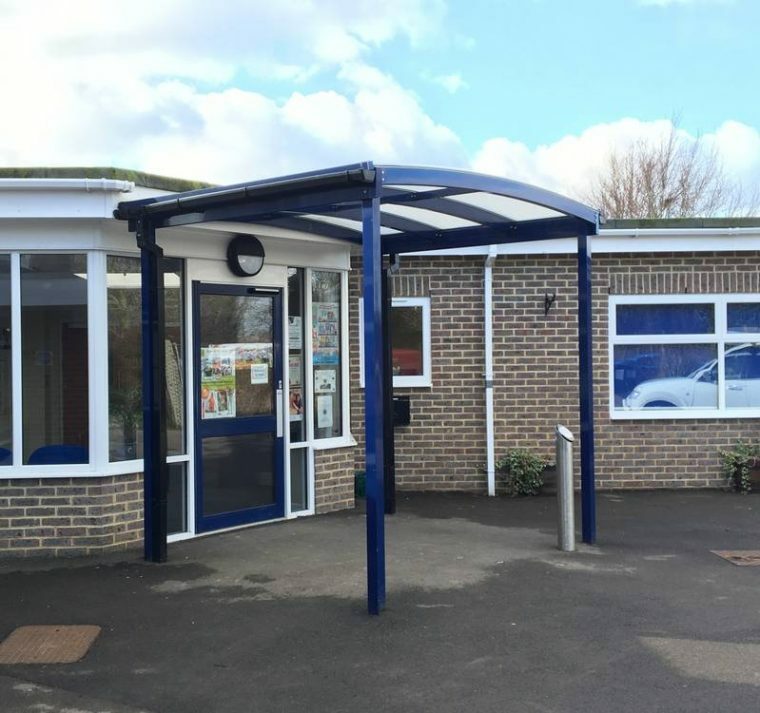 Curved Canopies can be used to create stunning sheltered entrances to buildings. . .